The Book of Revelation may be confusing overall, but it is crystal clear on "don't take the Mark of the Beast" (Rev 14:9). Yet how do you obey that? Can they force the mark on you or trick you into taking it? Is it already here today and possible to identify now, such as Bitcoin? Also, why would anyone take it given the clear, global announcement coming against it? Find out everything you need to know about the Mark of the Beast today—plus a startling new insight on the months of torture awaiting those who take action too late. Revelation 13:16-18 (HCSB) — 16 And he [the False Prophet] requires everyone—small and great, rich and poor, free and slave—to be given a mark on his right hand or on his forehead, 17 so that no one can buy or sell unless he has the mark: the beast’s name or the number of his name. 18 Here is wisdom:, The one who has understanding must calculate the number of the beast, because it is the number of a man. His number is 666. This passage is talking about the Great Tribulation (Mt 24:21) or the time when the Antichrist (or first Beast of Revelation 13) rules the entire earth. The second beast of Revelation 13, also called the False Prophet (Rev 16:13; 19:20; 20:10), will put in place a system of total control. They will attempt to brand every human with a mark that is needed for commerce. Obviously, without being able to buy or sell anything, you are not going to function in society or last long. Revelation 20:4 (HCSB) — Then I saw thrones, and people seated on them who were given authority to judge. I also saw the people, who had been beheaded because of their testimony about Jesus and because of God’s word, who had not worshiped the beast or his image, and who had not accepted the mark on their foreheads or their hands. This passage should reassure those who worry that they can be tricked into taking the mark or forced to take it without their permission. It seems that the False Prophet will need your permission. Otherwise, there would be nobody who "had not accepted the mark." The bad news is that they will not accept your response of "no, thank you" kindly. They will try to persuade all people to take the mark through at least four separate pressures or methods of persuasion. The first pressure is what Paul calls the strong delusion (2Th 2:11). The Antichrist will actually succeed in pawning himself off as God on earth ruling from the Third Temple in Jerusalem (2Th 2:4). Jesus said that this deception would be so convincing that even the "very elect" would be taken by it if it were possible. Thankfully, it's not possible because God intervenes with the Two Witnesses and 144,000 to preach the truth as a alternative to the popular lie (Mt 24:24). Despite God's counter-programming, the vast majority of the people are going to be convinced that the Antichrist is indeed God. This is due to the convincing signs performed at the hand of the False Prophet. These include calling fire down from heaven and making the image (statue) of the Beast that speaks (Rev 13:13-15). The second pressure takes care of the minority of defiant skeptics who do not fall for the strong delusion. It appears from the passage above that the False Prophet will command death for those who refuse the mark. This is just as he does to those who refuse to worship the image/statue of the beast (Rev 13:15 = Rev 20:4). Many Christians will have read their Bibles or heard and believed the warning of the mark, but they simply are not martyr-material. They will crumble under the pressure. Like Jesus said, the love of believers will wax cold and believers will betray each other to save their own skin (Mt 24:12, 10). To understand the third and fourth pressures requires a correct understanding of the prophetic roadmap and especially where the Great Tribulation fits in it. Most believe or have been taught that the Great Tribulation begins at the 1st seal. While the white horseman does indeed seem to fit the Antichrist, that's an incorrect conclusion; it actually refers to what Jesus said about the many (religions) that would come in his name, talk about him, and deceive many (Mt 24:5). The real match for the rise of Antichrist and start of the Great Tribulation is the 5th trumpet. When someone shows you the proof of how the Great Tribulation starts when Satan is cast out of heaven (he has not been cast out yet) as the start of three "woes," the Great Tribulation / 5th trumpet connection becomes pretty self-evident (cf. Dan 12:1=Rev 12:7-17=Mt 24:15,21=Rev 9:1-6, 11-13). Thus, the third pressure would be that, given the clear scarcity of food and clean water prior to the rise of the Beast, you will not get your basic living needs met without accepting the mark. The threat of death from thirst and starvation will already be mounting by the time the mark is presented to offer relief. If you do not take it, death will be knocking at the door. Principles and skepticism go out the window in such extreme situations. But there are always stubborn, crafty and prepared people who would still refuse the mark and scratch out an existence "off the grid." There is apparently another, fourth pressure that will take care of even them. At the 5th Trumpet, we are told that an army of deadly scorpion-like locusts with teeth and stingers are released from imprisonment in the Abyss (Rev 9:1-3). Although lethal-looking (Rev 9:7-9), they do not go out to kill people; they only go out to torture everyone except the 144,000 and the other gathered-protected servants of God (Rev 9:4-5; 7:3-4; 12:13-17) . It actually says people will seek death but be unable to find it (Rev 9:6). These demonic creatures will be able to search out every nook and cranny where survivalists and other resistors with stashes of food and ammunition are hiding (Joel 2:9). Their fortification, walls and weapons will not protect them from the locusts (Joel 2:9). The torture will no doubt be very effective in getting them to accept the mark. The passage telling us that these tortured people "will seek death and not find it" during the five months seems like a contradiction with what we said above that the False Prophet will cause those refusing the mark to be killed. But if you think it through carefully, you'll see there is a resolution. It points to a terrifying new realization about the mark that you probably never heard of before: Refusing the mark is not rewarded instantly with death. On the contrary, it is rewarded first with up to five months of torture to persuade you to accept the mark. At the end of the five months of the locusts' torture tour, they finally will put you to death. Why the delay? They may be sadists or they may simply prefer to have Beast kingdom subjects than dead defeated martyrs. "Mark" Only Figurative? Or Literal? Terrifying, isn't it? Anyone understanding just a fraction of the pressures coming to push the mark on people will naturally want to know exactly what it is now so they can be sure to see it coming. Actually, we'll see later why it is that if you want to successfully avoid it (and keep your life), you must never see it. Yet people still persist in wanting to know what it is now. The first question, then, is to ask is what is the intended meaning of the passage describing the mark? Should we read it literally, as a visible marking on the skin of the hand or forehead or figuratively as something completely different (such as, say, "Sabbath-breaking/Sunday worship" like the Seventh Day Adventists and others believe)? Exodus 13:16 (HCSB) — So let it be a sign on your hand and a symbol on your forehead, for the LORD brought us out of Egypt by the strength of His hand. Orthodox Judaism uses this command to justify their tradition of binding of "phylacteries" to the forehead and hands. However, most agree that ancient Israel did not follow this verse the way modern Judaism does. Instead, they understood it figuratively as telling them to keep the Torah firmly in mind ("forehead") and in their actions (the "hand"). If you agree with this interpretation, then it's natural to read the very similar passage in Revelation exactly the same way: figuratively (especially in a book like Revelation that is already assumed to be mostly symbolically figurative). But we have to decide how to read a verse individually and in its own context. We cannot assume that every instance of every construct will be used the same, or misinterpretation will result. For example, there are at least three different meanings for the word translated "star" in the Book of Revelation alone (angels, meteors/"shooting stars", and literal stars)! In fact, the use of similar constructs for different purposes seems to be one of the ways that God made the Bible tricky on purpose as Isaiah and Jesus declared about God's word (Isa 6:9-10; Mk 4:11; Mt 13:11; Lk 8:10; 10:21-24). Whenever you are in doubt after carefully considering a verse in context, you can usually resolve it by looking at related passages or in other words by looking at it in the greater Biblical context. Revelation 14:9 is another passage dealing with the Mark of the Beast which we can consult for help. Using it, we can dispel any doubt about the literal meaning of the Mark of the Beast. This passage is the third of three angel's warnings delivered to mankind. This third message specifically warns everyone about the grave consequences of receiving the Mark of the Beast in the "forehead" or "hand:"
Now think about the theory of a figurative mark in the context of this dire warning. The unsuspecting general public is going to be given this warning so that they are able to know what to do to avoid God's wrath, a very serious thing indeed. They will need simple clear understandable instructions that they can act on. But a message referencing a forbidden figurative mark is not clear but requires further explanation or thought before people can know what it is they must avoid. This would leave people uncertain and unable to follow the instructions. If the warning tells you to reject any future leader who wants to put a literal mark on your skin (forehead or right hand), that's very understandable and actionable. If it's figurative, where the mark can be anything like, keeping Sunday vs. Sabbath, how would you be sure? Since a figurative mark does not work in the warning here, then why did God use figurative language to "warn" Israel about keeping Torah in their thoughts and deeds? It worked for that because that earlier hand/forehead sign referenced something that he had already told them volumes about: the Torah. He wanted to communicate to them how integral they needed to make Torah to their life and he did so using a powerful metaphorical illustration. In contrast, the Mark of the Beast warning is a stand-alone command to a general public who God has only spoken two other messages ever in total to. Metaphorical language does not get the job done. The warning about receiving a "mark in the head or hand" can only refer to a literal marking on the forehead or hand which people can readily understand, identify, and know what to do when they encounter it. But Wait...If There Will Be a Universal Warning, Why Won't Everyone Just Listen and Avoid the Mark? With that question settled by the third angel worldwide warning text, another question is raised. If the warning about the mark is going to be as global and clear as stated above, then why will anyone get trapped into taking the mark? The first two categories are obvious and self-explanatory, but the last one, of mark evader requires explanation. The mark evaders are obviously similar to the mark rejecters in wanting to heed the universal warning about not taking the mark. However, they differ from the mark rejecters in the two aspects of proactivity and of faith. We shall see that to evade the mark is not as simple or foolproof as it may seem to you now. By way of illustration, you could compare it to the challenge of getting a girl to evade teen pregnancy by giving her a warning about it when she is ten years old. She may agree at that age that teen pregnancy is a bad outcome which she does not want. Yet, after she passes puberty, certain temptations must be resisted or certain actions taken for the teen pregnancy warning to work out well. Similarly, when you hear the warning about the mark, you must take a specific action before the mark even arrives. If you do not do so, it will be too late and you will get pregnant, as the analogy goes, or be left with choices 1 and 2 above only. That's the proactive aspect of evading the mark. The faith aspect of evading the mark comes in because the action required to avoid the mark will be to "come out of Babylon" (Rev 18:4; Jer 50:8; 51:6, 9, 45). The end time prophecies of the Bible repeatedly speak of God leading his faithful servants out of their home countries to a place he prepares to feed them during the Great Tribulation (Rev 12:12-17). However, it will not be so clear that this is right to do, as it is to, say, exit a burning house when someone shouts "Fire! Get out!" Probably everything in the world will look as fine (if you can call it that) as it does today. It will be counter-intuitive. It has been my experience that when this clear (future) travel prophecy from the Bible is shared with normal church-going Christians, they reflexively reject it. It sounds ridiculous to the average Christian that God would ever require his people to do something so radical as to leave their homes. Many of them miss the obvious irony in their objection to a future God-given travel command in light of the fact that God has done this very thing repeatedly in the past with his faithful servants as the OT records. He told Abraham to leave his country. Lot had to leave Sodom. He told the entire nation of Israel to leave Egypt. Sure, they were slaves there anyway, but there are many parallels to their literal slavery and our modern slavery to sin, addictions, distractions, etc. in our home countries that an end time exodus would release us from, too. Another reason that faith will tie in greatly is that, most likely, the instructions of the three angels will be spoken to people not by the three angels themselves, but by humans; prophets. This probably sounds ridiculous at first but if you read the passage carefully you'll note that it never quite says that the angels themselves do the preaching of their own messages (Rev 14:6). It simply says they "have" the messages to be preached. This leaves room for someone else to do the preaching. This phrasing is good because it does not make the passage break with precedent for how angels are tasked by God in the Bible. Angels usually interface only with the righteous or small groups of the public. When God deals with the general public or nations, he uses men exclusively. I think the answer to which men it will be this time is found, by no coincidence, in the verses immediately preceding (Rev 14:1-5). If you ever wondered who the 144,000 are and why they are given such special protection so that the Beast's forces cannot touch them, this would answer that. Their message of warning must go out without encumbrance to counteract the powerful dragnet that the Beast will be allowed to unleash on humanity. However, like all prophets before them, they are mere men and not as fearsome and compelling as an angel of light speaking before your eyes. People will be able to doubt and ignore the warnings and call to action of the 144,000 men. "My pastor said not to go"
It should not be hard for the reader to imagine how most Christians will scoff at even a real miracle-working Bible-conforming prophet sent by God telling people to "come out of Babylon" per the prophecies. Christians by nature rely on their pastors and other Christians to tell them what is right or what to do. They sincerely believe "all these churches can't be wrong." Thus, when most churches advise people to ignore the crazy prophet message to leave, and just stay "safe in Jesus" where they are and/or await the "pretrib rapture," it will be largely followed. They will not have the faith or guts to obey the command to leave early enough in order to avoid the mark. Then, when they actually see the Abomination of Desolation (military takeover of Jerusalem and the Temple by the Antichrist) that they were warned would come, they will want to obey the "crazy" instructions they ignored years before. However, if they are not close to the location that God told them to move to, there will be no chance of them making it there in time before the Great Tribulation begins (30 days later). The mark edict will soon be issued and they will be faced with the tough choice of option 1 or option 2. Option 3, of mark evasion, will have expired. You may have noticed that this article so far has not even touched on what most articles about this topic center on: speculation about which technology today is the Mark of the Beast. This is what is called "newspaper exegesis," trying to interpret prophecy by the current events as some. As already covered, the mark does not come until the Antichrist rises after we leave. It's that simple. That said, it would not hurt for me to share some other reasons why things popularly pushed as the mark cannot be it. Because, if you had not noticed, practically every popular new consumer technology ever invented, whether it be barcodes, credit cards, bio-chips and RFID, have at one point been proposed as "mark technology" or a sign that the mark and Antichrist is near. Of course, after those technologies become prominent, ubiquitous and prove harmless and the Antichrist "delays his coming" (Lk 12:45) nobody remembers the speculation and people move on to newer technology. Along those lines, the technology I get asked about these days in reference to the mark is Bitcoin. This probably happens because Christians have been conditioned to think of the mark as part of a "cashless society" under the Antichrist. I'll explain below why I have trouble with that conclusion. One of the key benefits Bitcoin is that it is a distributed, decentralized digital currency. Meaning, no entity including governments can control it. They can ban it, but they cannot control it. The greater problem tying Bitcoin in any way to the Antichrist is that Bitcoin depends on the Internet. Bitcoin mining servers communicate through the internet to process blockchain transactions. Yet the Internet and everything else associated with modern civilization is going to be gone when civilization crashes due to the Wormwood-caused global cataclysm. This is how and why the Antichrist is able to come to power as the world's God and savior (2Th 2:4). Sure the Beast will have his own communication network to rebuild the world. But I sincerely doubt it will be like the freewheeling Internet we know today that cryptocurrencies depend on. What Do I Think the Mark Is? Then what is my pick for the mark? In short, it's something we have not seen yet because the power of the mark is beyond our comprehension today. I say that because when you consider the Mark of the Beast verse, it's not so simple as people understand it, such as a cashless society. Rev 13:17 — so that no one can buy or sell unless he has the mark: the beast’s name or the number of his name. The mark is not a mainly a currency: It always seemed odd to me that the mark was needed for selling, not just buying. If the mark were simply a new currency that everyone must adopt, there is no need to mention "selling." You don't need currency to sell; you only need currency to buy as the seller receives currency from the buyer. (That's another reason why Bitcoin/cryptocurrency does not fit the mark.). So I rule out "only currency" off that. The mark is not (only) identification: I've used to think of the mark as an identification required to do (digital) commerce. Much like how a credit card number is needed for online purchases. Cash only works in person; you can't slide it into your PC or phone to buy something online. In fact, you could say "no one can buy or sell [on the internet] unless he has a credit/debit card." Is trade/bartering stopped, too? : What I also ask myself is can you get away with trade and bartering without the mark? If the mark is only an ID/currency account, then I doubt trade/bartering by people without the mark can be stopped. How powerful is it then and why mention its part in (some) economic transactions? I tend to think that the power policing and enforcing the mark will make it absolutely required to buy or sell anything just as the simple words imply. If it's that powerful then a simple digital technology like a chip does not really do it justice. Beast UBI? With the talk these days "universal basic income" (UBI) or a default minimal income for all citizens from the government, I wonder if the mark won't tie into something like that. Given the world will be devastated for the Antichrist to come to power, a UBI might be needed for people to survive while the economy rebuilds using the supernatural/nephilim help of the Antichrist. Perhaps the mark will be tieed to your UBI (Univeral Beast Income) and the currency it is issued in and the account you depend on for any commerce. All that to say, when I consider the buying/selling power of the mark and the power of the Beast behind it, I lean towards the mark being like nothing we have seen today. To compare it to optional, voluntary, technologies like credit cards, chips, RFIDs and the like, to me, vastly underestimates what Revelation is trying to convey about the mark and its necessity to commerce under the Beast. Clearly, every believer prefers to avoid ending up in that no-win situation of having to choose between martyrdom and markdom. We all want choice 3; neither. To have that option, the challenge at that point of no return will be in having the discernment to recognize which way God is leading; "should I stay or should I go?" Even if you do recognize the truth spoken by God's prophets on leaving, you will also need the faith to go ahead with the minority in following such radical and hard instructions. Luke 18:8 (HCSB)— I tell you that He will swiftly grant them justice. Nevertheless, when the Son of Man comes, will He find that faith on earth? Luke 17:5-6 (HCSB) — 5 The apostles said to the Lord, “Increase our faith.” 6 “If you have faith the size of a mustard seed,” the Lord said, “you can say to this mulberry tree, ‘Be uprooted and planted in the sea,’ and it will obey you. Ever notice that nowhere in the Gospels can you find Jesus directly answering the question of how one increases their faith? I was frustrated at that for a while when I was wanting more faith, like the apostles. Finally, I realized that the Bible gives us the answer elsewhere and everywhere. In the many stories of the Bible we see God's servants walking prayerfully with him through hardships and learning several things in the process. They learn how to recognize his hand leading. This normally does not consist of voices, dreams, and visions, but of coincidences or "God-incidences" or "open doors" (Rev 3:8, 20) and "closed doors" (Rev 3:7). They learn what he is likely to do or lead us to do and what he is not likely to do nor lead us to do. They learn how to trust him when the situation looks like he has abandoned them and just wait in patience and peace until the clear direction to act comes, if any action is required. In other words, they learn faith and how to act on it. If you pray daily about having faith and strength as Jesus instructed, then you can be sure that God will hear that prayer according to his will. In response, he will direct you just as he did the servants in the Bible who wanted the same thing. You will be put in sometimes uncomfortable situations like they were which require you to be bold and radical at times, and to be inactive or meek at other times; the whole gamut. This will prepare you for all situations including the coming crisis of decision over leaving your home country early enough to escape the Mark of the Beast. By the way, as far as finances and other logistics, when the time to escape comes, God has a plan to give provision to all those who choose in faith to obey the command to escape. See my article on the faith to escape to understand that situation. Lastly, a warning: Emigration to Israel for non-Jews is generally not possible today. The way must be opened up, not just for our move, but several end time events also require a major change in Israel. For example, the construction of the Third Temple or the singing of the 144,000 on the Temple Mount can't happen today without Arab control of the Temple Mount being eradicated. I expect the prophesied M.E. nuclear war against Israel where Damascus is laid waste to bring that about. The Mark of the Beast is going to be far more irresistible than most Christians can imagine. But the solution to its challenge is not to get distracted today with trying to figure out exactly what it is in advance. Even if you did figure that out, it would do you no good. If you see the mark, it will already be too late to escape it with your life intact. The proper escape plan will instead require faith and proactive, radical action. Unfortunately, as Jesus insinuated, faith will be a rare trait in the end times (Lk 18:8). Further, you do not learn bold and radical action by just going to church every Sunday and listening to your pastor. The answer is to follow Jesus' advice to stay awake and to pray daily for strength to escape what is coming (Lk 21:36). God will be sure to answer that prayer by guiding your life so that you get the experiences and information which will develop the faith and radical streak you will need when the time comes. What's more, these two things will help you to serve God and shine your light even better every day along the way, just like the faithful maverick Jesus did. For help on what aspects to focus on changing in your life, from Jesus' words, see my article on Rapture Requirements. There are quite a few speculations as to what the name, number and mark of the beast is. When comparing them all it could be any one or ALL of them because they all seem to fit right into the synario…..
2. RFID microchip implanted into your hand or arm (there are many who already have this microchip implanted in their upper arms and so are dogs and cats chipped. But animals have no need to buy or sell. These RFID chips are basically for tracking and do hold some of your information within them. BUT people still use cash or credit cards. 3. Sooooo that leaves us with the final choice – Social Security Number (your name all in capital letters making you a Corporation instead of a sovereign individual) Without one no man can get a job, get paid in order to buy or sell. 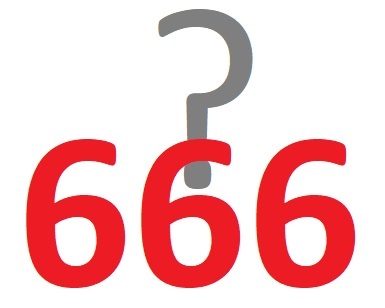 So what really is closest to being the Name, Number (or) Mark of the BEAST? Social Security card = Your name on the Corporate Beast’s card displaying Your NUMBER issued by the Corporate Beast system…..AND the MARK which is most likely in this case symbolic, one is marked in their mind because they go along with the BEAST system in order to buy of sell. ROME (iron) is the 4th head of the BEAST and the Ten Toes of Iron and Clay is the U.N. Communist Charter and the Pope blessed it’s flag in 2008. So, all of this Social Security system is what Rome has ordered because Rome rules over the U.S. and has given the U.S. it’s CIA in 1945 thereby keeping contact through it’s CIA headquarters at the Vatican (ROME) RULES THIS WORLD and the Pope declares he IS the Vicar of Christ…!!! So, did I take the mark when I accepted. that I had to have auto deposit in order to get my social security benefits? I would have no money if I didn’t have SS and so, I am not able to buy or sell without it. Most people who are not receiving SS today don’t know the only way the government will pay your benefits is if you have direct deposit. Talk about the cashless society fits this as well. If the only way an employer is able to pay you is by direct deposit, then there will be no cash to buy and sell. Please comment. Thanks. From my perspective (which may not necessarily matter) the Bible seems to show a rather consistent pattern of Satan (and his angels) messing with human dna to make creations in his/their “own” image (angel/human-like people). Given this, my bet is on the “mark” being some kind of genetic (“alien”?) alteration that will allow human kind to live more easily in a world that’s devastated by the Wormwood event…Altering human dna for surviving human kind would certainly be one more blasphemy to God (from Satan’s perspective)–a perversion of His original “image”. I don’t see “chipping” someone or requiring someone to use some number (to buy and sell) as blasphemous like would be the case in altering human dna into Satan’s image. I could be wrong however but the pattern or behavior of Satan appears to be rather clear: Ridicule and Blaspheme God and those made in His image as much as possible–and I can’t think of any way to insult God more than to alter His creation to that of someone else’s image (that of Satan). The antichrist will be ET’s claiming that they created us. This is the only thing that is more likely to happen. Kinda. The Antichrist will be a half human half angel man claiming to be God (2Th 2:4). Then the locust army from the Abyss indeed I think will be claimed as alien. Great post by the way, thank you! I believe there are truths in both literal and non-literal meanings for The Mark. If you don’t have the protection of our Lord though His grace you wont be able to see the deception-meaning keeping His Commandments, prayers of discernment, etc. Keeping you from a spiritual deception or a physical Mark. I’m not sure which One mark it will be, physical or spiritual but The bible said the Deceptions are PLURAL, meaning many! Kelly, Glad you liked it. I hate to say it, but Christianity is responsible for teaching people to spiritualize the Bible like that and allow for anything. This results in many false doctrines that break Scripture. Jesus on the other hand taught people to take Scripture literally and not invent interpretations that “break Scripture” (John 10:35). The mark passage speaks directly about a physical mark. There are other passages that speak about deception DIRECTLY. It’s best to stick to what it says. There’s so much there of interest to understand literally that there really is no need to invent new spiritualized interpretations. Either that or, when the “crazy prophet” comes to the door and tells me to leave, I would gladly do so for multiple reasons. Reason 1: God’s Command and that I wish to be saved from the Mark before it even comes. Reason 2: Good excuse for exercise. Reason 3: I get to see the world. I’m confused!! So there will be many prophets sent from God, and your saying we could escape from the mark that the beast wants us to take by leaving to a place that we could be safe, because all this mark of the beast, being killed is just scarying me, and I do want to make it to heaven and will not receive it. I just don’t want it to be to late to except it for me and for others so please can you help me with that also will the prophets be the one to lead us to the right direction to go to?? To leave. Destiny, The prophet Elijah is coming and you won’t be able to miss him, so don’t worry. The challenge will be to obey his command to flee your home and family to a nuclear fallout zone. If you’re worried just do as Yeshua said, pray now that you may have the strength then (Lk 21:36). You have plenty of years to petition God in that way. Tim, You just said, “…flee your home and family to a nuclear fallout zone.” Is that what you meant to say, or did you mean to a zone free of nuclear fallout? Check it out. Surly, fleeing into a nuclear fallout area isn’t a safe place to go. Kent, read the article linked in that comment’s statement (http://escapeallthesethings.com/faith-to-escape-tribulation) and you’ll see how God will do that and keep us safe like he did with Shadrach, Messhach and Abednego. Destiny, No. I think it’s your own intuition and awareness as many people or if you want to call them – ” Earth Angels” will tell you to leave. Or leave hints and warn you. It’s anything. Any sign that you see or hear that will point or will try to point you in the right direction. It’s up to you to be able to see or hear the warnings though. That’s where being awake is so important. That would help you actually recognize the signs or warnings and take action. Listen to your intuition as to where to move to. Babylon is referring to the US. So if you’re in the US then possibly get out and have faith that everything will workout despite the mental obstacles that are in your way. J, Just something to consider. Babylon (modern) would parallel Babylon (aincient). I’m not so sure you could make such a simple observation that a place (the US) is Babylon. It seems to me that Babylon is a system (the beast system). Of course places (the US and others) would be a part of that system, but I doubt the place itself is integral to that system. Outside of metaphorical and physical Babylon can be found the wilderness. Civilization, and all that currently comes with it, exists within the walls of Babylon. Outside of those entrapping walls exists the wilderness where God always sends his people to await the promised land that he is preparing for provision. 40 days in the wilderness or 40 years in the wilderness is nothing in comparison to the promise that comes after the pilgrimage. I believe that time in the wilderness is absolutely necessary in order to give up our lives for salvation. Even Jesus recognized this necessity. He points out that everything we experience in the wilderness will tempt us and coax us to return to the comforts of the world, but he reminds us that while we may be in this world, we are not of it. Jesus, the embodiment of the almighty creator was in this world, but as the creator he certainly wasn’t of it. We must pray daily to be delivered from the flood of sin, or the blasphemy of Babylon, or the captivity of Egypt, or the conglomerate of current society, and into the wilderness so that we may accept the salvation that the sacrifice of Jesus provides, and enter into the place he went to prepare for us. Tim – I love how you stated that, the challenge will be whether you obey he’s commands or not. That seem to be a very big problem with Christians today obeying God’s word. Ann, thanks. Yeah, Christianity does not teach people how to make Jesus Lord, do what he says (obey God’s word), which makes you like him. Did you see my new support team where I have new research and studies on Yeshua’s words and how to follow them, like the sermon on the mount? beside revelation 20:4…….where else does it say about either take the mark of the beast or beheaded ? Carlos, That’s the only one, but one clear Scripture passage is enough. You only need two or three with unreliable humans testimony. The Great Tribulation will be like nothing seen before. You’ll probably have to be 100% on point with God to make it without getting deceived. By that I mean giving all your faith to god and building your mental and spiritual fortitude through deep prayer. This is why I’m starting to doubt the doctrines were u don’t have to repent to be saved. There’s just no way a lukewarm Christian is going to be able to stay sane or resist temptation during all the chaos going on if he’s been indulging himself in Satan’s kingdom and becoming complacent and spiritually weak through fornication and lack of prayer. I’m not trying to sound like a Pharisee. But if you live like god truly wants you too you will literally become smarter, wiser, healthier, and stronger in so many ways. Because if you really understand that virtually every aspect of this new Babylon is twisted to destroy then why not actively resist it? and try to connect with God as much as possible? There will be so much going on, I doubt even my tribulation dreams scratch the surface of the terrors that will take place. monsters roaming the streets, a constant fearful dark atmosphere, parents turning on their own children and doing who knows what, danger everywhere, etc. pre trib just seems like the perfect way to get Christians complacent. hello, i’ve been trying to connect with others about my story of how i think i received the mark…. im a very humble, kind, and adventurous person but i’ve went through some pretty troubling times as well. I hope it’s not too late for me to be saved. one day after spending some deal of time isolated in an aprtment I decided to go off on a little road trip. So I packed a smal bag and left down the road with very little to help me get by. I plannted to walk around 100 miles to my mother’s house. However, 2 days into my journey I Was picked up by the police because my father called the cops on me. My dad apparently said i was trying to harm myself. I told them i had no intentions of doing so, yet they still took me against my will to that hospital. After i was taken in, I was very paranoid. I began talking with some of the other impatients, when one of the inmates told me to stop bothering him. One of the gaurds thought i was harassing the guy so he tackled me and gave me a shot to pass out. I was out for almost 24 hours as they transferred me to a psych ward. The fucked up thing is now I have this scar on my right wrist which i don’t ever remember having before. Im verrrry worried that they’ve implanted something into my body/mind. Michael, you may have received a chip (we met someone with one in the back of his skull), but that’s not the mark of the beast yet and the mark may or may not be a chip. It’s undetermined from the language what it will be. I suspect nothing we have seen yet, some alien technology. tbh ever since that day I’ve felt totally drained, Weird headaches, strange black and white colored dreams, and a total lack of any sort of emotions…. It feels like they lobotomized me. :/ definitely dont feel like I have a soul anymore that forsure. Mike how long was this? Perhaps they also gave you a long acting injection.. like Haldol.. as far as the wrist scar..it’s possible they gave you a chip..but I can assure you as Tim said that it is *not* the mark of the beast. Chips in the body can alter your state of mind..usually though in order to do so, from what I know they’re placed in the skull. There are many people who have been victim to this in hospitals and psych wards. You still have a soul…like I said it may have been a long term reaction from the medicine they gave you. This event occurred around 9 months ago. I still haven’t recovered; but I still fight to regain my spirit. I fear that if I was chipped that the truth won’t be discovered until it’s too late. The worst part of it all is I no longer even dream of the girl I thought I would spend my life with 🙁 She was my main motivation for doing good in the world. Thanks for the replies guys. It means alot that people take this stuff seriously. Keep your families close by and safe. Mike, the bible says very clearly that Jesus died on the cross for the sins of the whole world and, blessed would this be who believed without seeing, and also, that Jesus prayed for those who believe on him through his disciples words. Jesus died for your sins. He wants you to believe on Him. Ask Him into your life. Confess to Him that yes, you have sinned in your life. Ask very plainly for His forgiveness and, that He give you the Holy Spirit. In 1992 this is what I did and I can assure you that not only did God come into my life and make Himself real to me, but He also changed my life forever. He is real. You did not take the mark of the beast. If someone put a chip in you while you were asleep that was not of your choice. You can have it removed. God will accept you – you have to go to Him and He will receive you like He did me. Did you just suggest to someone that they might have to “cut it out”?!?! Seriously. Someone who you don’t know. A person who may or may not be delusional. No. It should suffice to say; the mark will be accepted. Not simply implanted into a person. The person receiving the mark, must accept it. This person is not caring around “the mark”. In addition, rdf technology doesn’t leave a scar. It is small and injectable. If this person has a new scar, it could be for a plethora of reasons. Stop making a paranoid person even more so. Please, you really need to pray, it can’t be the mark of the beast. But you need to give your life to Christ and pray seriously that God delivers you and set you free from whatever it is. I know in the Bible, it doesn’t say anything about the mark being a chip, but it does mention that one may not buy or sell unless he has the Mark. But what if you are just a kid? Ofcourse in your mind &heart you can deny mark,but in reality i cant becuse I still have to obey my parents and if they are deceved what then? I am sixteen and in small and messed up country so i cant just leave or run away.Ofcourse I’ve been praying everyday to have strenth,but even if i dont get deceved (cuz right now i dont trust goverment or pope)they can still make me take a mark.And even if my parents realize the problem they will soon take the mark becuse of sufering and us:me and my brother.I tried to talk with them but they dont want to talk about it,so i dont know what to do! Please give some advice. Lea, you don’t have to obey your parents if it means disobeying God’s command. God’s plan will be comprehensive so all those who want to escape will have the help to do so, even teens. Hi Lea – I can sympathize with what you’re feeling. My wife is not a believer (yet), though I pray for her daily, which is the best thing I can do for her right now. I do think as things draw nearer, it will become increasingly harder to deny the prophecies in the Bible, even for committed unbelievers. So I have a lot of hope and faith that people’s loved ones will become believers, and will take action. You said that people will be pressured to take the mark when the locusts torture them for 5 months, the bible says that the locusts are instructed to not hurt the ones with the seal of God in their foreheads, which would be any true believer not just the 144,000. Right? Lauren, no, only the 144,000 have that seal on their forehead and are mixed among the wicked being targeted by the Beast, which is why they need this special “mobile protection.” The “Woman group” (Rev 12) will be walled off from all of Satan’s forces, so the locusts don’t need special instruction for them. They simply won’t be able to reach them. PJ, I mean the woman group of protected non-144000 saints described in Rev 12. God bless your Mr. Tim,i follow your emails fervently.All what you send make sense and i send them to my sisters to read also. I see alot of christians today who even think what you might be saying is jargons and follow the popular sayings in thier church….Buy i pray God will help us all. Keep up the good work…God bless you. I love to read your writings and I do believe your interpretation. I’m curious to hear your thoughts on cryptocurrencies such as Bitcoin that are gaining real traction as an alternative to the US Dollar, the Euro, etc. These digital currencies could make traditional paper money obsolete. Is it possible that these new cryptocurrencies could be a precursor to the Mark of the Beast? If one of these emerges as THE ONE World Currency, is it possible? I know there is an app from a Chinese company (TenCent Holdings) that can load all of a person’s financial data and other key identifiers on a postage-sized square digital scan that can be used to buy or sell from a smart phone. This is a smart phone app and not a Mark on the right hand or forehead, but I find it interesting. Clearly, the technology is there. What are your thoughts on the chips that are found in credit cards now? I have read how some people are already having chips put in their hands and everybody talks about it like it’s a good thing. NO ONE mentions anything about the Mark of the Beast. I guess that’s obvious why they wouldn’t mention it or even think of it. These people may be deceived. Anyway, I love what you do and appreciate that you actually find the time to reply to peoples comments. Thank you again and KNOW that you are doing a great thing! How do we know that Isreal will even let us into their country? How do you plan on “moving” there? Barbara, good question. I have updated the article with a new section “What Not To Do…” that has links to past articles answering your question. Please reload and look for it before the Conclusion. Something to think about (which seems to counter your view of Christians needing to flee to a ‘safe zone’ in Israel/ Jordan to escape the end-time hardship) is that when Jesus talks about the rapture in Matthew and Luke it’s obvious believers and non-believers are still in intimate contact: they’re travelling together, working together, sleeping together! The faithful appear to be still involved in their normal life in their own communities. Ross, yes, the believers will be mixed with the unbelievers, but you are wrong to conclude it’s all. We’re clearly told the 144,000 will remain among the wicked (and therefore protected specially), while the majority will be the sequestered Woman in one spot where they are gathered for their protection. That is an outside chance, but it’s not the most straightforward explanation. From the description of the 144,00 who “…did not defile themselves with women…” (Rev 14:4) we can assume they are all male. In Jesus’ prophecy of the rapture he includes “…two women grinding grain together…” So his illustration is not of the 144,000. It is also unlikely he would illustrate the minority who are still mingling with the wicked and not mention the majority who are sequestered. It sounds very much like normal people going about their everyday lives in different parts of the world (some sleeping, some working) when the rapture takes place. Ross, my explanation is still better as your argument depends on a misinterpretation. Women do not literally “defile” you. (They’re not swine!) If they do, then they can defile a female just as much as a male through lesbianism. That passage saying “virgin men, not defiled with women, follow the lamb wherever he goes…no lie found in their mouths” is full of figurative and allegorical terms. Like “virgin men,” “defiled with women” only makes sense allegorically referring to religion, something that can and does defile both men and women, just as their following of lamb wherever he goes there is not literal, but I think you can understand the meaning of that yourself. A great article, as always. I enjoy your teachings and share them with my wife. She is beginning to see the logic in what you say. Tim, Great write up as always. I recent debunked the pretrib rapture with a pastor in my church in our Sunday school. He came back the following Sunday to accepting the teachings of the bible about the church participating in the tribulation. I share almost all your articles with my wife, she still strongly believe that she is someday going to fly to heaven. Ingrid, Petra is a popular end time theory, but not wholly accurate since Daniel 11 indicates all of Jordan is our protected place, not just Petra. Before that we must flee to Judea to escape WW3 and Wormwood. Do you have an article on how we get from Judea to Jordan? Jewish Uber? Is it walkable? Bigmoab, the Bible does not say how we get to either Judea or Jordan. For those who wait until they see the abomination I think they’ll definitely be running. For the rest of us who go by faith when told, God will provide something easier and nicer. Most of us see this happening some time into the Millennium, but if we take the earthquake that happen with the Gog event into consideration it appear that this gathering happen before the Millennium. This earthquake (Ezekiel 38:19,20) will flatten the mountains and and all the walls (cities) on earth. As no mountains or standing cities will be found after the earthquake of Revelation 16, it appears to be the same event. The Ezekiel earthquake can not bring down what is already down. Could this gathering in Ezekiel be the move to safety? It could be quite imminent and happen after a big Middle East war. Hendrik, Ezekiel 38 happens after the Millennium, so if God’s wrath on Gog there really does make the whole earth as smooth as a cue ball with no more mountains or walls ever (I doubt it), it does not matter. Ezekiel 36-37’s gathering of Israel and Judah are all millennial, before then. Only the faithful righteous are led to safety before the Millennium, not nations. Tim, I’m 16. I’ve been dealing with a lot of problems in my life. I’ve moved maybe 20+ times since I was a kid and I constantly have had to break up (or atleast try) yelling and screaming between my mom and dad. We’re currently living with my Aunt and Uncle until we move into a new house. I would ask that you pray for my dad, mom,sister and I. Since last year (2016) we’ve moved like 6 times. Everytime we thought we had a home and everything was fine…..BOOM! My dad not being able to pay the house rent or mortage has us moving again and a biiiig fight between my parents breaks out. My mom would claim she’s leaving but doesn’t. Except the 4th one or so which we planned due to issues at that house such as no internet really and the problem that seems to have been the (physical atleast idk about spiritual) source of this….my dad’s jobs. In the past he was a bit carefree and rude and always played *Grass is greener on the other side” card when he lost a job OR if he found a “better oppurtunity”. He’d work with unreliable people and they wouldn’t pay him and he kept trying to be nice about it and letting them get away with it. He’s become more humble this year, basically putting his foot down that he’s going to listen to god and do as he commands, and that he’ll pray for favor and for jobs and money to supply us as a family. On top of all this….I don’t want to tell anyone this I just want to have it dealt with in me spiritually…I’ve been looking at *Eheeeem* since 2012 when a cousin showed it to me. I’ve prayed and prayed and put my foot down sooooo many times and then it’s like my brain becomes hypnotized and I don’t care in the moment and then…(I think you know where i’m going with this). I ask that you’d pray for me to get that pulled from my life. I try hard but I really feel like i’m sliding back :(…I obviously don’t want this to be the case but the struggle in me is one I never thought i’d go through..at least not before tribulation times. Also, where do we escape too? Is it said in the bible where it will be? Do I just pack supplies and head out if this becomes more evident that it is almost at the too late point or if I feel spiritually convicted? Will a prophet speaking from the angels tell everyone to join him in fleeing America? Also, are there any good starting points in the bible for understanding ALL of this, Tribulation, Rapture, Escaping etc. in a better way than just opening up Revelations? PS: Please keep me in you prayers, I care sooo much for this topic and I REFUSE to allow my self to go to hell by slipping up. I want to connect with god but with my *Addiction* it makes it harder for my spirit to connect with God. Please get back with me when you can. I know you aren’t all knowing, only god is, but if you could answer those questions or give me a lead on how to answer them in my spirit and through divine understanding from god it’d mean a lot to me. I’ve never told really anyone except cousins and friends about my addiction. The adults of my family think i’m innocent when it comes to that. Matthew, your concerns tell me you will be fine. Elijah will come and give answers and guidance to be easily found and received by people with concerns like you. It’s the people who don’t care about God and his word that will have rough going to make a shift. In the meantime check out my articles on God’s end time escape plan in the Bible for all the faithful and also quelling end time fears and concerns. Hello, I’m a fifteen year old. Anyways, I’ll pray for you tonight. Hopefully you feel better. The hour or day of Jesus’s return no one will know. . . but the season surrounding it, that’s something entirely different. Hopefully you see this comment. Gabriela, correction, Jesus never said “no man WILL know the time.” He said no man knows, present tense. That’s because the Bible does not contain the answer and it had not been given yet. However, that does not mean we won’t all know right before and some a few years before who receive revelation like the prophets did. That’s why he did not use future tense, knowing even Daniel’s 1260 days prophecy tells you people will know the day of Jesus return simply from counting forward 1260 days from the abomination of desolation. You’re doing an awesome job sharing these insights with all of us. I am always so blessed reading these articles. I have a bothering question though. So with the Mark evaders who will be gathered in possibly Jordan from all over the world, how would this happen? Financially, it would become a huge burden for certain Christians living in Africa and some parts of Asia to travel in search of refuge in Jordan when the tribulation begins. I believe however that God is capable of providing the means but what are your hypothesis/theories on this, if any? Isaac, thank you for your comment as it pointed out to me that the article was missing a link to the later study that answers your question. I have added it and you will see it if you reload or click here. I was wondering why the great multitude (who are from the great tribulation ) is before the throne and the lamb? In one of your articles you said the 144000 are sealed before the great tribulation yet in the following verses after their sealing we have the great multitude coming out of tribulation. Jonathan, Rev 14 shows two time periods. First, the 144,000 are shown sealed before the Great Tribulation starts. Then, just so you don’t get the wrong idea that that’s all who are saved (which many including yours truly thought upon beginning to study Revelation in 1998), it shows a multitude who survive “out of the Great Tribulation.” These are pictured during the Millennium as the Sukkot-related palm branches indicate. I find this one of the most captivating subjects of Revelation. But I’ve never encountered an entirely satisfactory interpretation. Have you encountered Walid Shoebat’s viewpoint? Rob, I don’t think there is enough information to identify the mark today. Yes I’ve heard Walid Shoebat’s idea. With President Trump being a Christian, He should have gotten the Christians to rebuke satan by preventing what happened at the Whitehouse with some invidivual being possessed by satan in which he took his own life. God created life to be Holy and Righteous and that Trump supposedly is to be Republican Christian. Make mention that the Republican Christians will make the Whitehouse and the Trumptowers new Heavens on earth! Thank you for your service! President Trump may be some kind of Christian but sure does not seem to be a lover of the Truth…. Tim, I keep coming back to aspect of the mark having to be “accepted”, an analogy might be drawn to how hypnotism has to be knowingly accepted by the passive subject for it to work. Maybe the forehead part of the mark (as in how the Torah was committed to memory in OT) is an alien (as Tim suggests) mental intervention that has to be consciously allowed/accepted to take hold, whereas the hand part may be a complementary part of the alien technology necessary to connect/communicate with the new Beast network, such that both aspects would required to access an account (UBI?) and mentally sign to accept a purchase or a sale. Note: In legal theory, a free clear expression of will by both parties is the fundamental requirement for the validity of a purchase/sale, whether espressed by handsigns, words, documents, electronic signals, or soon to come in your area via alien engineered brainwaves! I live in Lansing Michigan. I believe the “horns” and “crowns” are the automobile industry. Japan is the “sea beast”. Toyota and “lean managment” has taken-over industrial systems and railroads. “Dragon” is related to the U.S. Navy, ships and jet aircraft. The “harlot” rests on the 7 original U.S. Confederate States and “States Rights” because of the transplant auto industry there. Also, it can be the Treaty of San Francisco San Francisco has “7 hills”. Revelation 16 First Bowls of wrath begin with the earthquake and Fukushima 2011. The power blackouts in Japan that followed almost confirmed this (to me). Just an observation but, The mark itself sounds as if it will somehow “sever” us from communion with Jesus. Why would God condemn those who take the mark when he forgives 70 times 7? Because I believe the mark is going to do something terrible to the soul of whoever takes it upon themselves to accept. It will not only conform those to the beast society but alter or destroy our ability to be redeemable by Christ our Lord. This is something much greater than buying or selling. In fact, those that take the mark will be paying a damning price to buy or sell. What a scam indeed! Healer, it’s much simpler than that. The beast’s mark comes to you only upon accepting the Antichrist as your god who you agree to worship, including his image/statue. God will have no other gods before him (Ex 20:2). Jaden, I totally understand how what you went through with your brother has affected how you feel about God right now. Two of my children are bipolar – one nearly died — and a third child has had a different severe mental illness and was hospitalized 10 times and nearly died. The agony of watching a family member suffer that kind of extreme pain and watching them change from the person they used to be….it’s shattering. And you lost your brother – that’s heartbreaking! Jaden, I wish I could just sit and cry with you. And that’s what our Heavenly Father would like to do. It’s the Holy Spirit within me, crying the tears I am crying right now over your brother. I know that it is hard to understand, but God is weeping with you. He hurts with us in our suffering. We feel traumatized, don’t we? And I used to wonder, who the heck is this God I’ve been worshipping? What kind of God would allow these innocent lovely people to suffer? But Jaden, I realized that God is “the only act in town.” He’s the only place I could turn to, the only person who was able to reach me in the depth of my devastation and pain. I turned to Him for help, for comfort, for a way out of the grief and devastation that I felt. God rescued me and set me back to being able to trust Him. Sure, I have a ways to go to be able to fully trust Him. I know in my head that He’s trustworthy, because He has proved it to me. He has proved to me His love and power. Jaden, please don’t give up on God. He loves you so very much. Jaden I’m just crying right now and I know it’s the Holy Spirit in me crying for you. God loves you so very much. Please, please give Him a chance to show you His love. He is there for you. I value your teaching ministry efforts and enjoy reading the analyses you’ve provided and shared over the years, but you make assertions regarding the 144,000 that are just not found in the scriptures. I hope you’ll consider this analysis regarding the question: Who are the 144,000? by Doug Batchelor. Tiffany, I’m taking the 144,000 literally at face value. This works as there are people alive today descended from the lost Israelite tribes (12 tribes not just Judah, Benjamin and Levi) just like the text requires. Batchelor says it’s a spiritual Israel of 144,000 apostles but that’s allegorizing it and spiritualizing Israel, too, (replacement theology) which again there’s no need. There is a literal Israel throughout the world, some of whom are Christians, who can be called to this mission as believers in Jesus. As an American, you may be one of them. If I take the mark can I be saved? I know the move will be so difficult for me to just pick up and leave my family.., and if I don’t make it or I’m too late I’ll have to take the mark. Do people who take the mark through deception just go to hell to be burned up! It seems slightly not fair for the tribulation generation to have this great deception and mark of satan when others didn’t have to go through the worst time period on Earth. Does mark mean damned forever? If I stay in South America, does that mean 1) I take mark 2) killed by nuclear war 3) tortured and murdered. This all is overwhelming. Aidan, God does not condemn deceived people eternally, but you will have to wait longer for eternal life as a penalty if you fall for it. Aidan, read the article I linked in my previous comment. Rev 14:11 does not say the punishment lasts forever, only that the smoke rises forever, which is an idiom and not literal if you compare to other passages like. Even if it was literal, it’s just the smoke; People don’t burn forever. Fuel gets consumed.